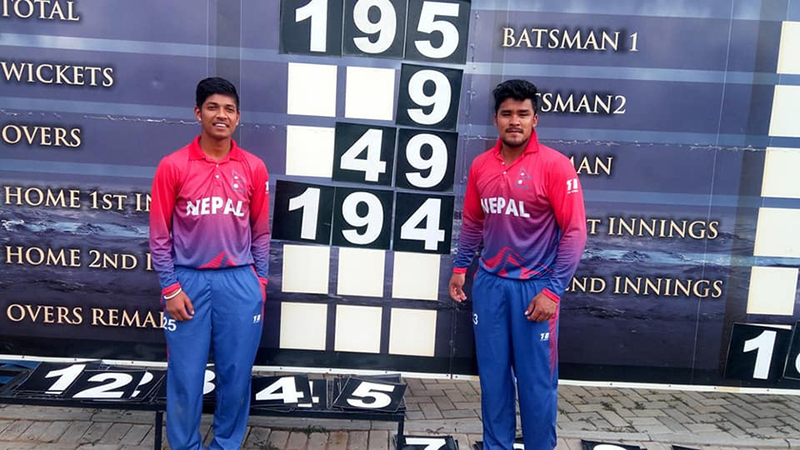 KATHMANDU, Feb 15: In a miraculous effort by Karan KC who smashed 42 runs from 31 deliveries including three boundaries and four sixes in the last wicket partnership of 51 runs with teenager Sandeep Lamichhane against Canada, Nepal has made it to the ICC World Cup Qualifiers set to be held in Zimbabwe. KC scored the winning run in the last ball of the match. Chasing the target of 195, Nepal lost skipper Paras Khadka for a golden duck. 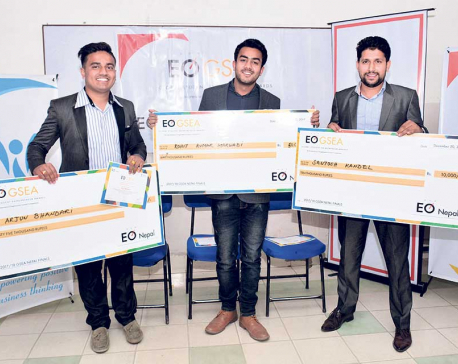 Gyanendra Malla and Sharad Vesawkar continued their disappointing form with the bat. 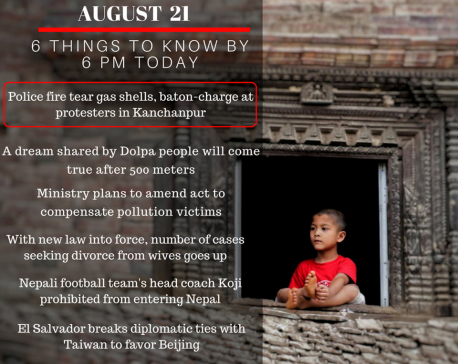 Nepal was languishing at 144 runs when the ninth wicket fell for Nepal. Leg-spinner Lamichhane arrived at the crease with 51 more runs to get in remaining 47 deliveries. Lamichhane stayed unbeaten scoring five runs keeping 18 deliveries away being a perfect foil to his more explosive partner at the other end. Karan started his boundary hitting barrage with a six against Cecil Pervez in the 47.4 over followed by two back to back boundaries against Dhindsa in the next over. 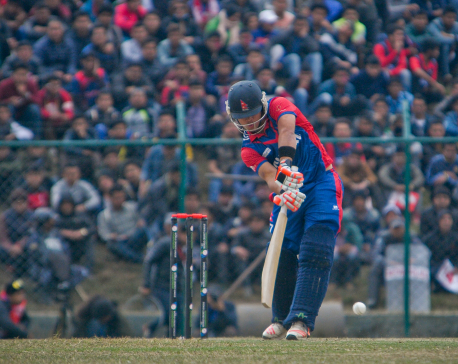 He then put Nepal in a winning position smashing a six in the 49.5 over and picking up single in the last ball of the match to take Nepal to world cup qualifiers to be held in Zimbabwe from 4 to 25th March. Earlier, a maiden unbeaten century by Srimantha Wijeratne helped Canada put up a total of 194 for the loss of eight wickets in the 50 overs. Defeating Canada in the last group stage match, Nepal has topped the division two to ensure its qualification. Nepal will be either seeded in Group A with West Indies, Ireland, Netherlands and Papua New Guinea if they win the Division Two final or in Group B with Afghanistan, Zimbabwe, Scotland, Hong Kong as runners-up of the ICC World Cricket League Division 2. Nepal will face the United Arab Emirates, who finished second on the points table, in a final playoff match on Friday.